John De Lancie is renowned comedian actor, director, producer, writer, singer, musician and voice artist. He is well known for his role in Star Trek: The Next Generation 1987 as Q. He played Days Of Our Lives (1965) as Eugene Bradford which was the best portrayal to be remembered. Here, we find the information of his early childhood days to till today. John De Lancie was born as Jonathan De Lancie Jr. on March 20, 1948, in Philadelphia, Pennsylvania in the USA. John's was professional oboist with the Philadelphia Symphony Orchestra.At 14, John played the part of Henry V in SchooL Play. His talent was then recognized by his father. His father suggested him to be the actor.John joins Julliard in scholarship and then attended American Shakespeare Festival in Stratford.Since his early childhood, his keen interest was in acting and music. 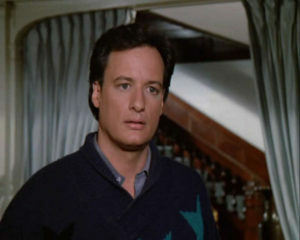 John De Lancie is the finest actor who was offered a contract from Universal Studio.John acted as a contract player doing 35 television show such as Black Beauty, Little Women, The thorn Birds and Captain and Kings In 1980, John was cast in the character Eugene Bradford on "Day Of Our Lives " which turn to be long-running soap opera. John was always good for a laugh. He is a comic actor whose work was much appreciated from the play Voice of Discord. John film includes "The hand that rock the Cradle", "The Fisher King'","Influence"," The Onion Field", "Arcade", "Deep Red"," multiplicity" and much more. He was seen as Dr. Deroy in three television films of "Emergency". John made debut as an actor in Six Million Dollar Man. He was associated with the film Reign over me with Adam Sandler. John appeared as Cassius in the BBC production of Julius Caesar with Richard Dreyfuss and Stacey Keach. He was co- starred in the United Paramount Network Series Legend as Jason Bartok. John appeared as guest artist in Picket Fences, L.A. Law, Murder One, The Gayle O' Grady Project and the voice of Dr. Quest on the Johny Quest animated series. He is popular for his recurring role as Q in Star Trek: The next generation (1987), Star Trek: Deep Space Nine (1993) and Star Trek: Voyager ( 1995). John is an associate director of the L.A. theater works and producing arm of National Public Radio.He directed plays as "Fallen Angel"," Invasion From Mars", "The Waldroff Conference " and "When Welles Collide". Besides acting, John is a writer. He has written two books i.e, "Star Trek I, Q" and "Soldier of Light".There is an availability of audio book for Star Trek I, Q read by John and his wife Marnie Mosiman. Adding more, he hosts the children's series of Los Angeles of Philharmonic (2005).He has also performed as concert narrator. He is linked at the Aspen Music Festival, appearing in Fidelio, A Midsummers Night 's Dream and Les Bourgeois Geltilhommie. He does audio remakes of classic science fiction and fantasy stories including The Time Machine, The Lost World etc. John currently involved in the project "Alien Voices". John along with Leonard Nimoy of Star Trek have created "Alien Voices".He has partnered with game developer Disruptor beam on a new project called Star Trek Timelines where Trek fans can mobilize a crew of their favorite character from across all eras of Star Trek. John De Lancie is the son of Andrea De Lancie who has been known for oboist worldwide. John is married to singer/actress Marnie Mosiman. They had two sons named Keegan de Lancie (October 31, 1984) and Owen de Lancie (May 16, 1987). His son Keegan de Lancie is also an actor. John De Lancie and his wife, Melissa Claire Egan at the 9th Annual Hollyshorts Film Festival Opening Night in August 2013. John de Lancie is ranked as richest comedian celebrities. John has a net worth of $4 million. He has more than 160 acting credits to his name. In addition, he has won two Behind The Voice Actors Award and two Soap Opera Digest Award. He has been active in screen and television roles since 1977 and is associated with the various upcoming project. It is estimated that his net worth is $1353892054 including stocks, properties and luxury goods such as yachts and private airplane. Thus, John de Lancie is gaining high popularity globally with his versatile entertaining capacity. This personality has numerous fan follower across the world.